Home » Blog » Are Hair Transplant Procedures Safe? Are Hair Transplant Procedures Safe? If you’re unhappy with the way that your hair looks and have been researching ways to improve it, you’ve likely come across at least an overview of hair transplants procedures. While it’s exciting to realize that there are options for improving less than ideal hair, this realization also comes with a lot of questions. If you’re interested in pursuing this course of action but have concerns about the safety of a hair transplant procedure, keep reading to get answers to all of your questions. As long as you choose a doctor who’s qualified and experienced, the risk for modern hair transplant procedures is very low. However, because this is a medical procedure, it does come with some degree of risk. As with any surgical procedure, infection is the most common risk. Excessive bleeding is a possibility after a transplant. One risk that’s unique to this procedure is the possibility of some or all of the transplants not taking. It’s possible for transplanted hair to simply fall out instead of growing as expected. The other thing to keep in mind about this type of procedure is if hair loss continues after having it, the result may be a patchy appearance that doesn’t look very natural. Since this definitely isn’t a look anyone wants, it’s reassuring to know that the doctor you consult with for this procedure will evaluate that possibility prior to moving forward with the hair transplant process. Since there’s a lot to gain from a successful hair transplant, the good news is there’s a proven way to minimize the risks associated with this procedure. 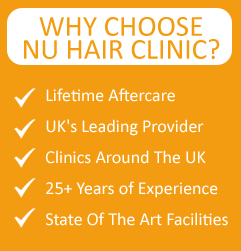 The way to do that is by choosing a FUE instead of FUSS. What makes these two hair transplants procedures different is how hair is harvested. With FUSS, a strip of scalp must be cut off in order for any hair to be harvested. Since this surgery is fairly invasive, it has significantly more potential risks than the FUE procedure. The way that FUE works is by extracting individual hair follicles. Since no deep cutting is required, the potential risks for this procedure are minimized. 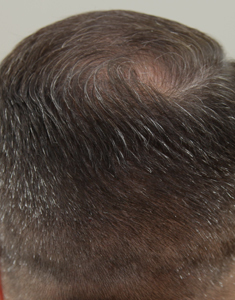 Another benefit of choosing FUE is that you won’t be left with a large scar on the back of your head. That means you can enjoy having a short hairstyle whenever you want. FUE also has the benefit of maximizing the amount of hair that is able to be safely harvested. If you have any additional concerns about the safety of a hair transplant procedure or other questions related to this topic, the best way to get a personal assessment and answers to all of your questions is to book a consultation with a qualified specialist. 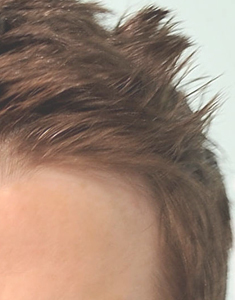 This entry was posted on Thursday, November 20th, 2014 at 3:24 PM	and is filed under Hair Transplant. You can follow any responses to this entry through the RSS 2.0 feed. Responses are currently closed, but you can trackback from your own site.